25 proven natural remedies for anxiety relief that really work! Take control of your anxiety using our in-depth review of proven natural remedies such as herbs, vitamins, teas, homeopathic remedies, and essential oils. But these medications don’t always work, can’t be used by everyone, and have a multitude of unacceptable side effects (including being highly addictive). For reasons like these, more people are turning to natural remedies to control their anxiety instead. Natural, traditional remedies have long histories of safe and effective use. But science has shown that many of them work even better than anti-anxiety drugs. In this review of 25 of the best natural anti-anxiety remedies, we explain how each of them works, the symptoms it treats best, and much more. Pay close attention so that you match the best remedy to your particular situation. 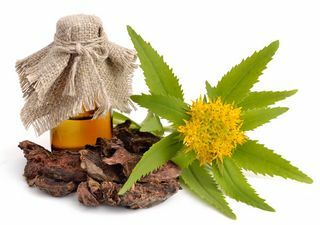 These are our favorite herbal remedies for anxiety that have been proven both safe and effective. Arctic root, as the name suggests, is found mainly in cold regions of the world like the Arctic and mountains of central China. It’s a potent adaptogen, a substance that strengthens your overall resistance to both physical and emotional stress. This makes Arctic root particularly useful for anxiety accompanied by fatigue. If you have brain fog, trouble concentrating, depression, or low energy along with your anxiety, Arctic root an excellent herb to consider. Ashwagandha is one of the most important herbs in the 3,000-year-old Ayurvedic Hindu system of medicine. Its name literally means “smell of horse” since the root does smell a little horsey. But don’t let that put you off since it’s also believed to bestow the strength and stamina of a horse on those who take it. Its main use now is as a stress-relieving adaptogen. Try ashwagandha if you feel depressed, fatigued, and lack motivation. Bacopa has a long history of use for increasing longevity and enhancing brain power. This makes it an excellent choice for anyone who has anxiety with memory loss. If you try bacopa, be patient. It can take a while for its effect to kick in. Ginkgo biloba is one the world’s most ancient and impressive plants. Ginkgo trees literally grew when dinosaurs roamed the earth! A handful of ginkgo trees were at the epicenter of the Hiroshima atomic bomb blast. Ginkgo leaves have been used in traditional Chinese medicine for thousands of years. Ginseng is one of the most ancient, popular and widely studied herbs on the planet. The Chinese believe it to be the “elixir of life” and have used it to promote strength, stamina, and physical performance for over 5,000 years. Ginseng creates a relaxed, but alert, state. It calms you down and boosts your energy without being over-stimulating. You may want to try American ginseng, a distinct species (Panax quinquefolius), that is widely regarded as the best ginseng in the world — even by the Chinese! People throughout this region make a traditional kava tea that’s valued for its ability to induce a state of relaxation and mental clarity. Numerous studies consistently find kava effective at treating anxiety. GABA is a relaxing neurotransmitter that calms the mind and puts the brakes on brain activity when needed. It should never be taken with anti-anxiety medications, antidepressants, or sleeping pills. You can see the full list of substances to avoid with kava at Drugs.com. You may have heard that kava is linked to liver damage, but this concern has been debunked and is largely unfounded. In the US, kava is available in the form of capsules or liquid tincture, and less commonly as a tea. 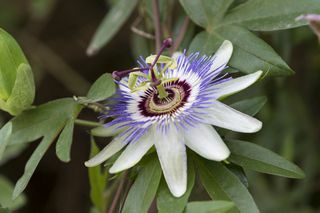 Passion flower is the only herbal remedy on this list native to North America. It was brought back to Europe and is now widely grown and used medicinally there too. It’s believed to work by increasing brain levels of GABA. Valerian has been called “nature’s Valium” and is mainly used to relieve anxiety, stress, and insomnia. It’s another one of the several herbs on this list thought to work by increasing GABA levels in the brain. It is generally considered safe but unlike some of the other herbs for anxiety, valerian can definitely make you drowsy, so use it just before bedtime. Valerian can be consumed a tea or as a supplement, but most people stick with the supplement since valerian tea tastes and smells pretty awful. Disturbingly, 80% of the products tested contain NONE of the herbs listed on the label. Herbs tested included valerian and ginkgo. Obviously these herbal supplements would not have been helpful and were potentially dangerous. Whenever you buy herbs, always buy from a reputable company that specializes in herbal remedies, not a big box store. While it’s important for general health and mental well-being to meet all your basic vitamin needs, there are a few vitamins you should pay particular attention to if you have anxiety. Being low in certain vitamins can exacerbate anxiety symptoms, and the right supplements can help. B complex vitamins are sometimes referred to as “happy vitamins” or “anti-stress vitamins” since they can elevate your mood and increase your tolerance to stress. Inositol was formerly known as vitamin B8 until it was discovered that the body could make its own. Now it’s categorized as a pseudovitamin. Inositol is found in high concentrations in the brain where it facilitates communication between brain cells. 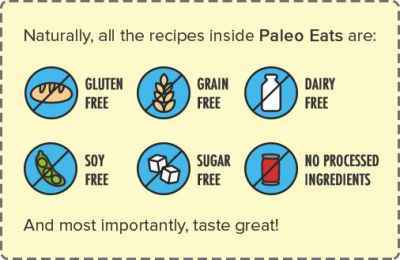 That’s not as daunting as it sounds since it’s available as an inexpensive, tasteless powder you can add to water or other drinks. 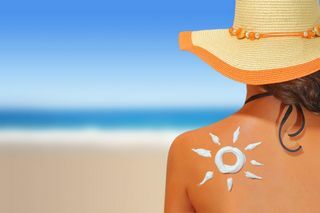 Vitamin D is called the “sunshine vitamin” since your skin creates it when exposed to the sun. Unless you live in a year-round warm and sunny climate, you can almost certainly benefit from vitamin D supplements. This is particularly true if your anxiety gets worse during the winter. Not all natural remedies for anxiety fall neatly into the herb or vitamin categories. There are natural substances like amino acids, minerals, and other nutrients with anti-anxiety properties as well. Here are some notable supplements in this “best of the rest” category. And this deficiency is a major contributor to anxiety. There are many forms of magnesium supplements but the best for anxiety is magnesium l-threonate. You may be familiar with taurine as an ingredient found in energy drinks. If you are looking for a remedy for low-GABA related symptoms like anxiety, insomnia, and an overstimulated mind, taurine is an excellent substitute for GABA supplements which don’t work well for everyone. A major problem with taking GABA directly is that it is structurally too large a compound to pass through the brain’s filtering system and into the brain. There are several theories as to why GABA supplements work some of the time in spite of this. Researchers are still trying to figure out exactly how and if GABA supplements work. You can give GABA a try to see if it helps you, but we recommend taurine which is more reliably effective. Tryptophan is an amino acid that’s an essential building block of the mood-elevating brain chemical serotonin. For this reason, taking supplemental tryptophan works better for raising serotonin than relying on food. Insomnia is a common problem for anyone with anxiety. Tryptophan is also a building block of the sleep hormone melatonin. Thus, tryptophan can help you fall asleep faster, sleep longer, and awake less often in the night. Omega-3 essential fatty acids are an integral structural component of brain cell membranes and nerve cells. And healthy brain cells are your first line of defense against anxiety, depression and other mood disorders. 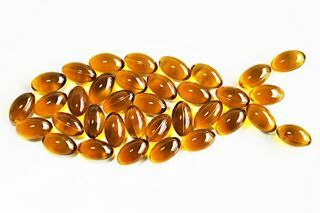 The most popular omega-3 supplements are in the form of fish oil. Omega-3s are anti-inflammatory and this helps to quell chronic inflammation of the brain. These bacteria are referred to collectively as your intestinal flora, microbiome, or microbiota and they have a profound impact on your brain and mood. Practicing neurologist Dr. David Perlmutter reveals in his book Brain Maker: The Power of Gut Microbes to Heal and Protect Your Brain — for Life how a dysfunctional microbiome can be the root cause of anxiety, depression, and other brain-related disorders. Before humans figured out how to stuff herbs into capsules or isolate active ingredients from plants, they were often consumed as teas. 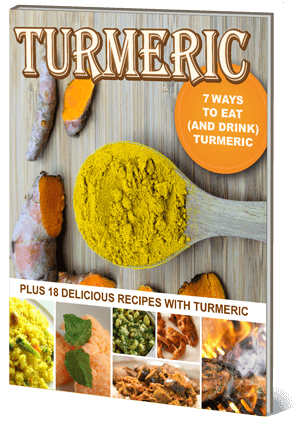 Most of the plants and herbs below are also available in the form of supplements. But there are some good reasons to consider using them in the form of tea instead. Unlike swallowing pills, sipping tea is enjoyable and the ritual of making tea can be relaxing. 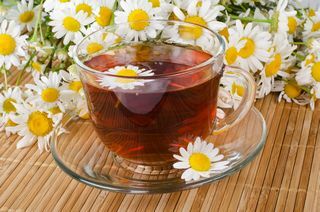 Chamomile tea has long been used to treat insomnia, stress, and anxiety. You may recognize it as a main relaxing ingredient in the highly popular Celestial Seasonings Sleepytime Tea. There are many species of chamomile. The two most popular are Matricaria recutita (common names German or wild chamomile) and Chamaemelum nobile (common names Roman or English chamomile). All species of chamomile belong to the same plant family (Asteraceae) as the highly allergenic ragweed. If you are one of the millions of people allergic to ragweed, you might want to avoid chamomile since there’s a chance of allergic cross-reactivity. Since it’s a member of the mint family, it has a pleasant minty taste with a hint of lemon. It’s good for treating insomnia and improving memory. It works synergistically with other herbs for anxiety like valerian, hops, and chamomile. It might be a surprise to see green tea on this list since it contains a small amount of caffeine (25 mg per cup). But, in fact, green tea is more calming than stimulating. 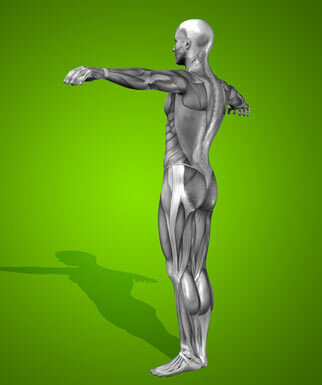 L-theanine is a naturally occurring amino acid that has a relaxing, but not sedating, effect. 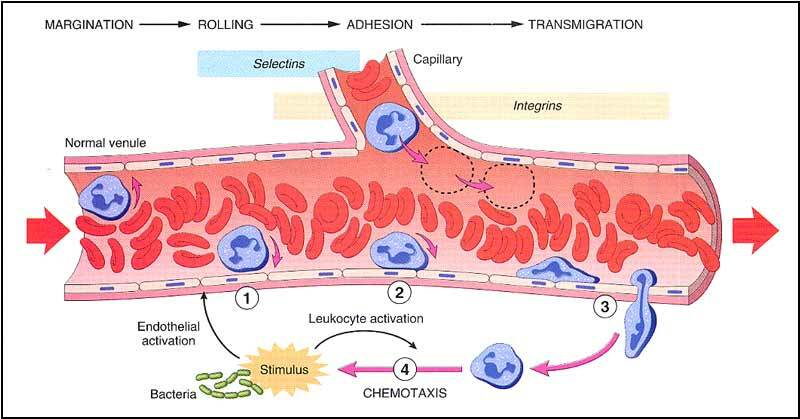 Like l-theanine, it normalizes activity of GABA. If you are concerned about the stimulating effects of caffeine, give decaffeinated green tea a try. It retains most of the benefits of regular green tea. Or if you prefer, you can take an l-theanine supplement as a safe and effective way to relax. And avoid green tea extract. These extracts are usually sold as a weight loss aid and contain large amounts of caffeine. Gotu kola’s health benefits are legendary. It is an important natural remedy in Chinese, Indonesian, and Indian Ayurvedic medicine. Traditionally it was used to treat disorders of the mind including anxiety, mental fatigue, depression, memory loss, and insomnia. Unfortunately, the name gotu kola sounds like it contains caffeine (as in cola drinks) but it doesn’t. Ironically, it is a natural relaxant. It’s also taken as a cognitive enhancer to halt memory loss. Gotu kola is extremely safe. It’s been eaten as a food and drunk as a tea by millions of people for thousands of years. Give gotu kola tea (or supplements) a try if you are looking for anti-anxiety relief along with cognitive enhancement. Holy basil (or tulsi) is yet another herb used in the Ayurvedic healing tradition. It is thought to bestow upon its users a long and healthy life. The 200-year-old healing practice of homeopathy has millions of followers worldwide. Homeopathy is undoubtedly popular but has many detractors. Homeopathic remedies are made from extremely dilute concentrations of therapeutic substances, usually plants and sometimes minerals. Skeptics claim there is no way homeopathy can work since barely a trace of the original substance remains. But the scientific evidence paints a different picture. Another common sentiment among detractors is that we shouldn’t use homeopathy since we don’t understand how it works. Homeopathy offers many advantages, especially when compared to anti-anxiety medications. 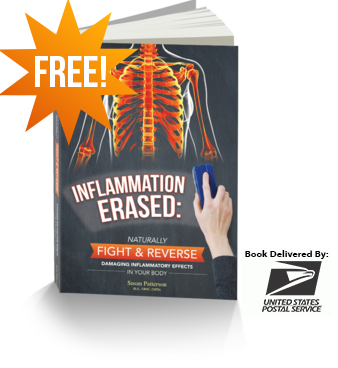 They have virtually no side effects and there is no problem mixing them with medications or herbs. And lastly, they are extremely economical usually costing only pennies per dose. We think this makes homeopathy worth a try before turning to prescription anti-anxiety drugs. Homeopathic remedies are very specific in their effects, so you must choose your remedy carefully. Choosing the wrong remedy won’t do you any harm, but it won’t do you any good either. Homeopathic displays at health food stores usually have an overwhelming number of remedies to choose from. 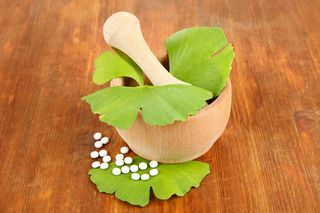 We’ve narrowed the list down to the two best homeopathic remedies for anxiety — one for chronic or generalized anxiety disorder and another for anxiety that appears suddenly and acutely and sometimes results in panic attacks. Argentum nitricum is an excellent all-purpose remedy for chronic anxiety or generalized anxiety disorder. This is an appropriate remedy if you are a constant worrier who’s always thinking about the ways things could possibly go wrong. Argentum is also good for anticipatory anxiety such as that experienced before public speaking or taking an exam. It’s also recommended if you suffer from anxiety brought on by a phobia such as claustrophia or fear of heights. If you’re life is driven by “what ifs,” argentum might be the ideal remedy for you. Aconitum is a beautiful but poisonous flowering plant found throughout temperate parts of the world that goes by the common names of monkshood or wolf’s bane. It’s specifically helpful if your anxiety symptoms are acute and come out of the blue with no obvious trigger. Aconitum is recommended for anyone who experiences panic attacks. It’s appropriate if you are plagued with an unreasonable fear of dying. Dr. Vikas Sharma is a fourth generation homeopathic physician who specializes in autism and other neurodevelopmental disorders. Aconitum and argentum can provide relief for the majority of people with anxiety. Essential oils been used for over 6,000 years in Egypt, Greece, China, India and the Roman Empire and are frequently mentioned in the Bible. 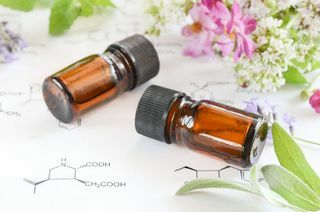 It’s not completely understood how essential oils work, but they seem to work by tapping into the powerful relationship between our sense of smell and the brain. While herbs used for anxiety are usually taken internally, essential oils are used externally to reduce stress and heal emotional issues. Essential oils are usually inhaled or diluted and massaged into your skin. 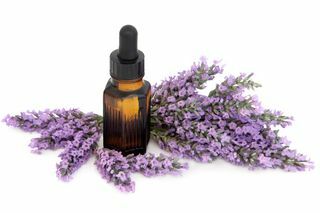 If you are new to aromatherapy, you can’t go wrong starting with lavender essential oil. It is the most versatile of essential oils, a veritable “Swiss army knife” of aromatherapy remedies. Besides its calming, relaxing, and anti-stress qualities, lavender has been proven to do everything from healing burns to improving concentration. Lavender isn’t the only essential oil for anxiety. Another standout is bergamot, a fragrant fruit the size of an orange and the color of a lemon. You may be familiar with it as the “secret ingredient” in Earl Grey tea. Other essential oils to consider for anxiety include rose, nerolis, sandalwood, ylang-ylang, geranium, and jasmine. If you are new to using essential oils, please read our article below. It explains how to use them and addresses a few common sense safety concerns. For natural anti-anxiety relief, there are plenty of remedies to choose from among herbs, vitamins, minerals, amino acids, teas, homeopathic remedies, and essential oils. The best of these have withstood the test of time and have held up to scientific scrutiny. Each remedy has a slightly different set of properties and benefits, so choose the ones that best match your set of symptoms. To learn more about any particular supplement, including recommended dosages and possible side effects and interactions, check out our related articles following each supplement. Important: If you currently take an anti-anxiety medication like Xanax and Ativan, talk to your doctor before changing your drug or supplement regimen. Some supplements should not be taken with these or other anti-anxiety medications. In the meantime, check for interactions using Drugs.com’s interaction checker.